ICC One Day International "Mini World Cup"
The ICC Champions Trophy is a One Day International cricket tournament, second in importance only to the Cricket World Cup. It was inaugurated as the ICC Knock Out tournament in 1998 and has been played every two years since, changing its name to the Champions Trophy in 2002. Originally, all ten full members of the International Cricket Council (ICC) took part, together with (for the first four competitions) two associate members. From 2009, this will be changed to the 8 highest-ranked ODI teams as placed 6 months out from the tournament. The ICC Champions Trophy, also known as the Mini World Cup, is cricket's one-day international tournament second in importance only to the Cricket World Cup. It was inaugurated as the ICC Knock Out tournament in 1998 and has been played every two years since, changing its name to the Champions Trophy in 2002. All ten full members of the International Cricket Council (ICC) take part, together with (for the first four competitions) two associate members. Since the quadrennial Cricket World Cup and on-going ICC ODI Championship effectively determine the relative rankings of international cricket teams in one-day international cricket, there seems to be little need for the Champions Trophy as a junior tournament. 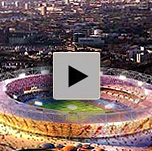 However, the Champions Trophy is a financially important event for the ICC. Money generated through the event is used in ICC's Development Program. Although being the second most important one-day tournament in cricket, the ICC Champions Trophy has sometimes been criticised by the media, with claims that there is no point for it, when there is the World Cup as well. Before the 2004 tournament, Wisden described it as "the tournament that veers between being the second most important in world cricket and a ludicrous waste of time". 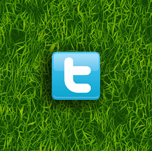 However, despite this controversy, many people are still fond of the tournament, and players enjoy having the opportunity to participate in it. 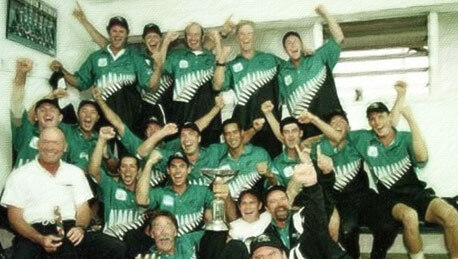 The first two tournaments, then named the ICC Knock Out tournament, took place in 1998 and 2000. These early tournaments were intended to raise the profile of the game in the host nations (Bangladesh and Kenya). All of the matches in the 1998 ICC Knock Out were played in Dhaka. The tournament started with a preliminary match between New Zealand and Zimbabwe to decide which would proceed to the Quarter Finals. South Africa (248-6, 47 ov) beat West Indies (245, 49.3 ov) by 4 wickets. Like the 1998 tournament, all of the matches in the 2000 tournament were played in Nairobi. There were three preliminary matches before the Quarter Finals, involving Kenya, India, Sri Lanka, West Indies, Bangladesh and England. New Zealand (265-6, 49.4 ov) beat India (264-6, 50 ov) by 4 wickets. 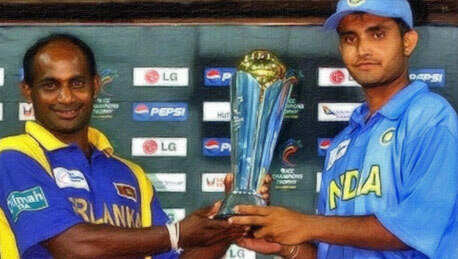 The 2002 ICC Champions Trophy is a cricket tournament that was held in Sri Lanka in 2002. 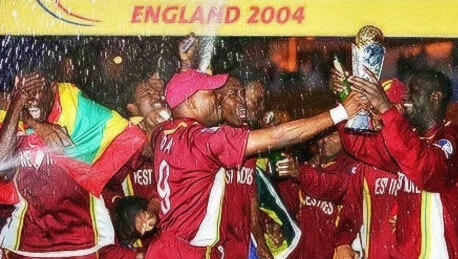 It was the third edition of the ICC Champions Trophy (the first two having been known as the ICC Knock-out). The tournament was due to be held in India, but was switched to Sri Lanka when an exemption from tax in India was not granted. Twelve teams competed: the 10 Test-playing nations plus Netherlands and Kenya. The teams were split into four pools of three teams each. Each team played the other two teams in its pool once, and the four teams that headed each pool proceeded to the Semi Finals. The Final between India and Sri Lanka was washed out twice, to leave no result. 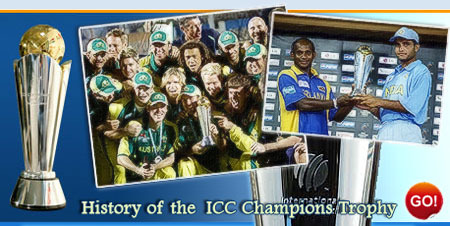 The 2004 ICC Champions Trophy was held in England in September 2004. Twelve teams, including the Test nations, together with Kenya, and making their one-day international debut the USA, competed in fifteen matches spread over sixteen days at three venues Edgbaston, The Rose Bowl and The Oval. 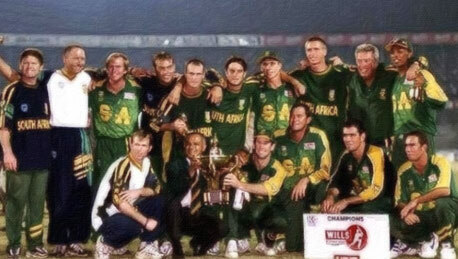 The 2008 Champions Trophy which was due to take place in Pakistan in September 2008 and postponed over security fears, was moved to South Africa by the International Cricket Council. 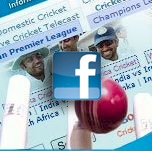 Follow the news of ICC Champions Trophy 2009 in South Africa here. Australia have have become the first team to win the ICC Champions Trophy title twice, beating New Zealand by six wickets in the final at SuperSport Park. Chasing New Zealand's 200/9, Opener Shane Watson hit his second successive unbeaten century (105) to guide defending champions to a six-wicket victory with 28 balls remaining. India added the 2013 Champions Trophy to the 2002 trophy they shared with Sri Lanka, beating England narrowly by 5 runs in a game that was there for the hosts to win. With this win, MS Dhoni became the first captain in the world to have won all ICC trophies. Under Dhoni's captaincy, India had earlier won the inaugural ICC World Twenty20 held in South Africa in September 2007 and the 2011 World Cup held in India, Sri Lanka, and Bangladesh. Chasing a modest 130 for a win, Ravi Bopara (30) and Eoin Morgan (33) had things under control and was going for the kill when Ishant Sharma turned it around with two wickets in two balls, after a six and two wide balls in the 18th over. That started a collapse that saw four wickets lost for three runs in eight balls. England finished on 124/8 after James Tredwell missed the last ball of the innings with six required for victory. India XI: Shikhar Dhawan, Rohit Sharma, Virat Kohli, Dinesh Karthik, Suresh Raina, MS Dhoni (capt & wk), Ravindra Jadeja, R Ashwin, Bhuvneshwar Kumar, Ishant Sharma, Umesh Yadav. England XI: Cook (Captain), Bell, Trott, Root, Morgan, Bopara, Buttler (Wicket Keeper), Bresnan, Broad, Tredwell, Anderson.